Design Biz Survival Guide is an exercise in story telling as seen through the eyes of fellow designers and industry partners. A candid conversation about life and the business of design, this podcast is intended to inform, inspire, and empower listeners. 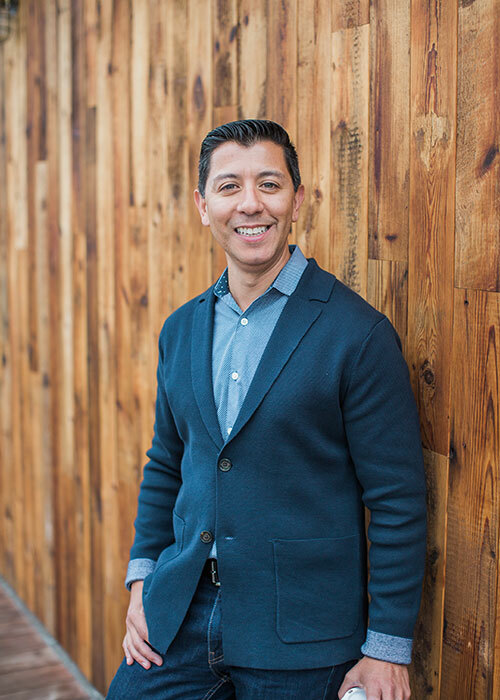 Rick Campos is a professional interior designer with over ten years of experience in the design industry. A graduate of Interior Designers Institute in Newport Beach CA, Rick worked his way through the ranks by working at a design trade showroom and then as a design assistant for a notable interior design firm before launching his own design business and retail boutique in 2007. Currently an Associate Designer for Dejager Design, Inc. with an emphasis on Business Development, his daily interactions with architects, builders, vendors and clients contributes to a broad perspective of the design industry. Rick is an Allied Member of ASID and served as the Orange County Chapter President in 2012. He remains engaged in the design community through ASID Orange County and has held numerous volunteer positions. Rick is honored to be a part of the faculty at his alma mater, Interior Designers Institute where he presents a quarterly lecture focused on Effective Networking as part of the degree program. “As you would expect, I have a list of accomplishments legitimizing my position in the industry and even a few letters after my name but the most important thing is this - I am passionate about the business of design. We are an industry of influence, knowledge, and leadership. I have developed this platform in response to a community eager to explore opportunity and learn from one another.